According to a study released by a global coworking conference, there are currently 18,000 coworking spaces globally – a number to top 30,000 by 2022. 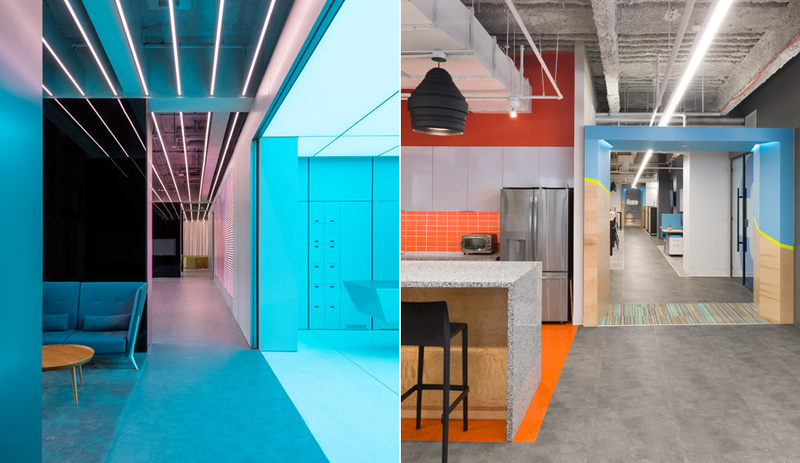 Here are four new and unique spaces changing how we work. 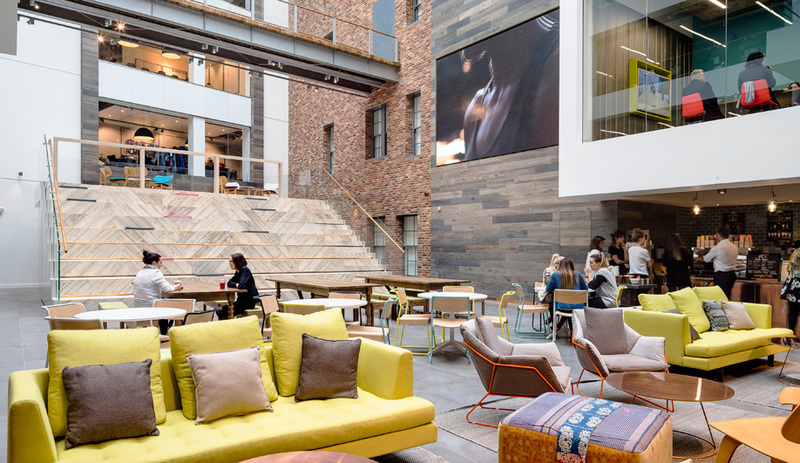 In the June issue of Azure, we explored the trends that define the modern office: after years of open-space supremacy, many workplaces are making a return to privacy. The office, and the products within it, continue to draw inspiration from the home. 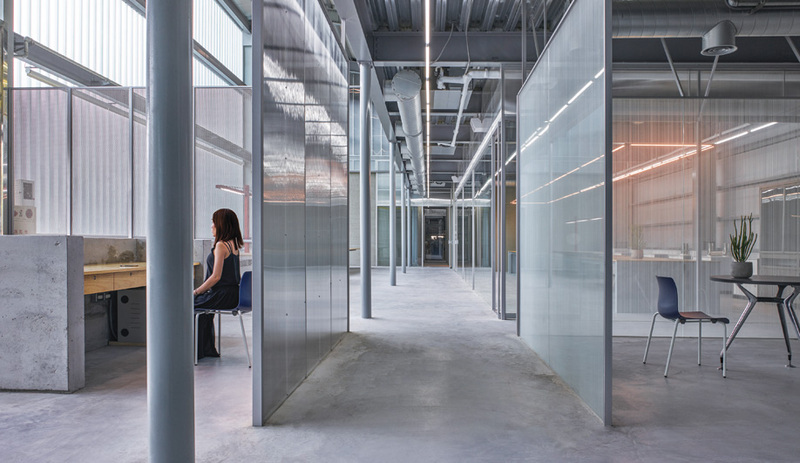 And as Atelier VanBerlo’s stunning boiler house transformation suggests, many offices have become multi-tenant hubs for individuals and small companies alike – no doubt the result of the freelance economy. Indeed, the gig economy has redrawn how we work and, more critically, the places we work. According to a study released by the GCUC, a global coworking conference, there are currently 18,000 coworking spaces globally, and by 2022, it’s estimated that number will top 30,000. By that time, it estimates that 5.1 million people will be members of coworking spaces. 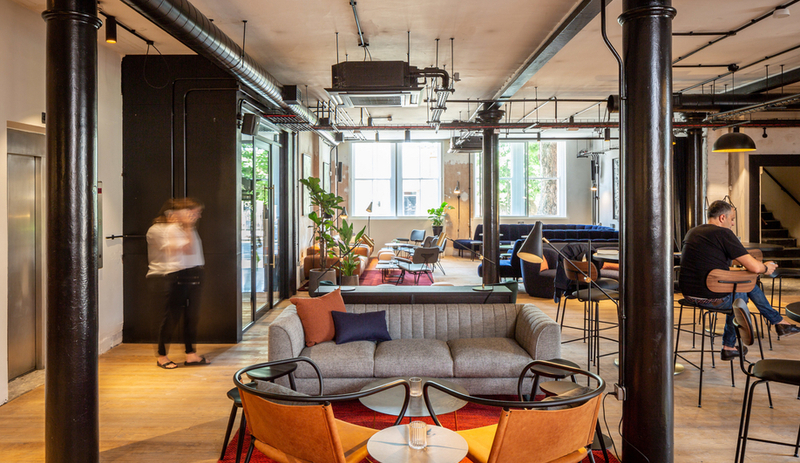 Accordingly, WeWork and its contemporaries are expected to house a growing segment of workers – from freelancers to startup companies, across every industry imaginable – that demand a different type of office. Here are four that deserve your attention. 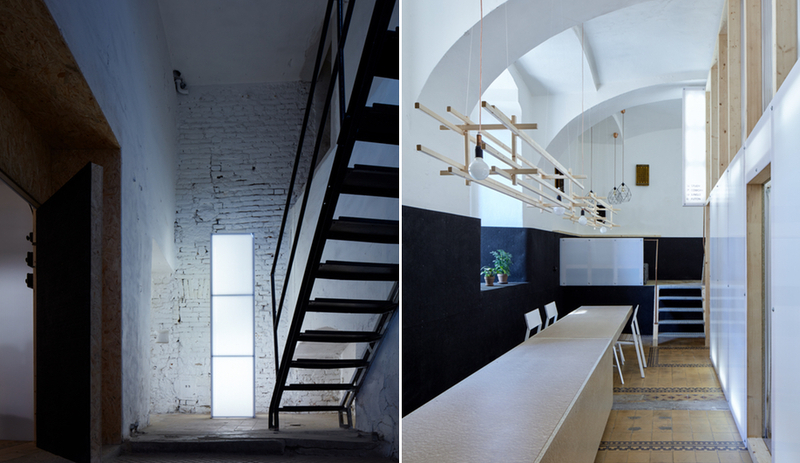 As with many industrial conversions, The Ministry exposes the building’s structure, then elevates it with thoughtful material and furniture choices. 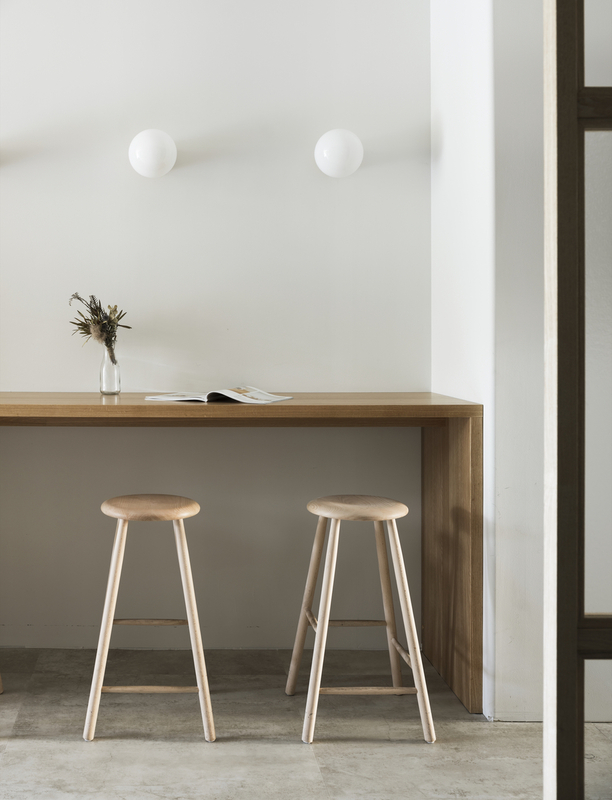 Exposed timber floors, untreated walls and painted steelwork nod to the building’s bones, and that casual grit is especially evident in its hospitality spaces. 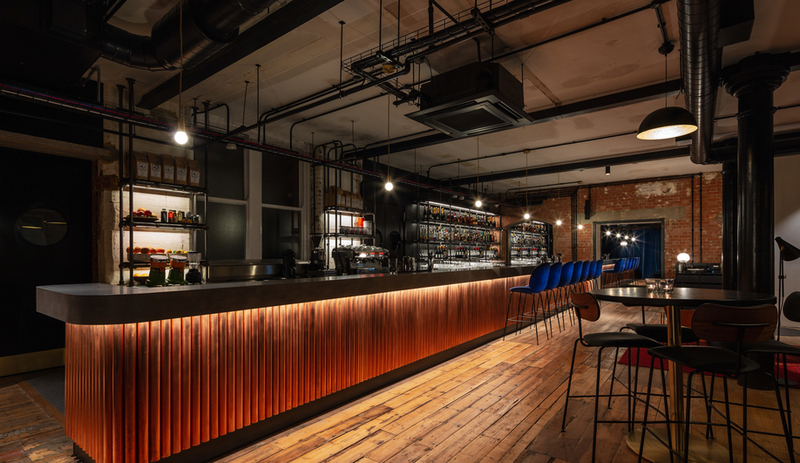 Its first floor features booths cordoned off with curtains, living room–like meeting spaces and a lounge with a custom-made 22-metre bar, made from concrete and copper pipes. Throughout, a selection of curated scents and sounds abound. 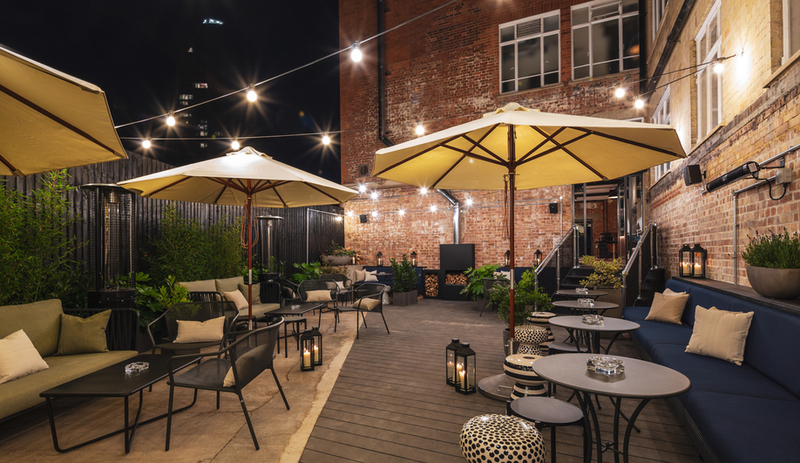 The lounge, which can serve as both a coffee shop and bar, guides visitors to an outdoor garden and fire pit. The ground floor is outfitted with Marshmallow stools by Edward Van Vliet and Patricia Urquiola-designed daybeds for Moroso. Three floors of workplaces rise above the main level, all connected by the building’s original pale pink and green terrazzo stairs. 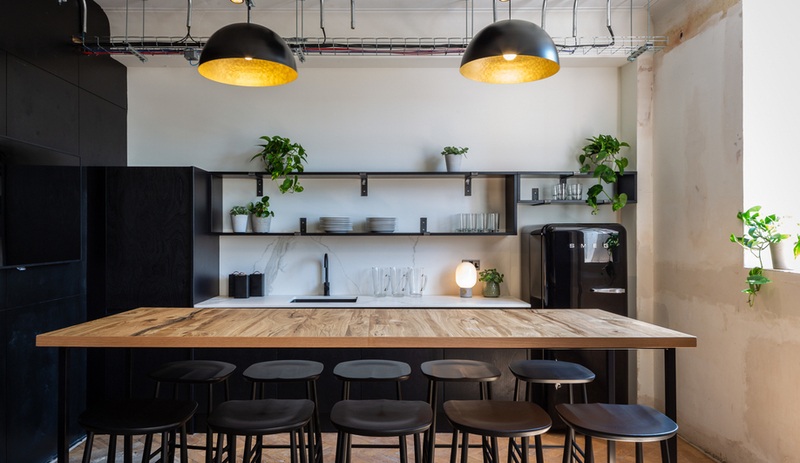 Squire & Partners tapped Eley Kushimoto to help design the upper levels, which contain formal and informal meeting spaces, breakout areas and places to linger over a tea. Beneath the ground level, entertainment-specific production spaces were installed, including a virtual reality studio and a series of screening facilities and soundproof production rooms. 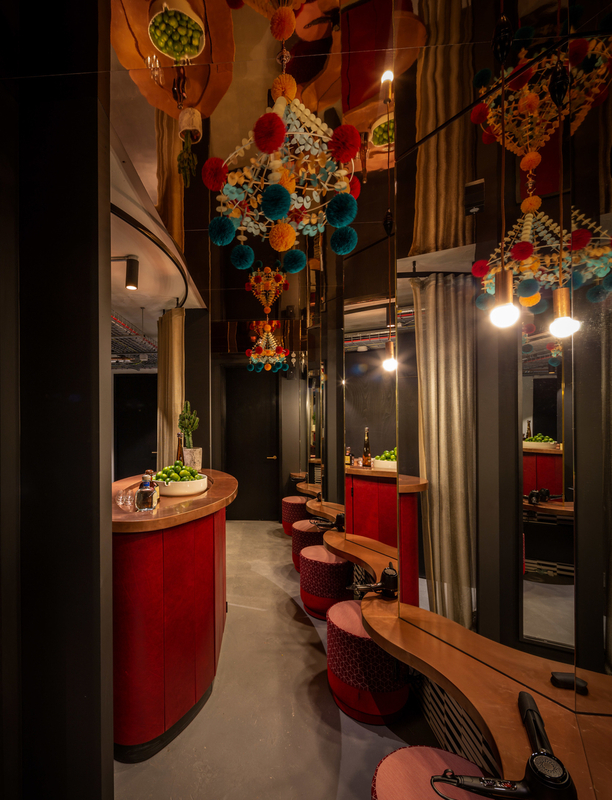 There’s a kaleidoscopic mirrored shot bar down there, too. 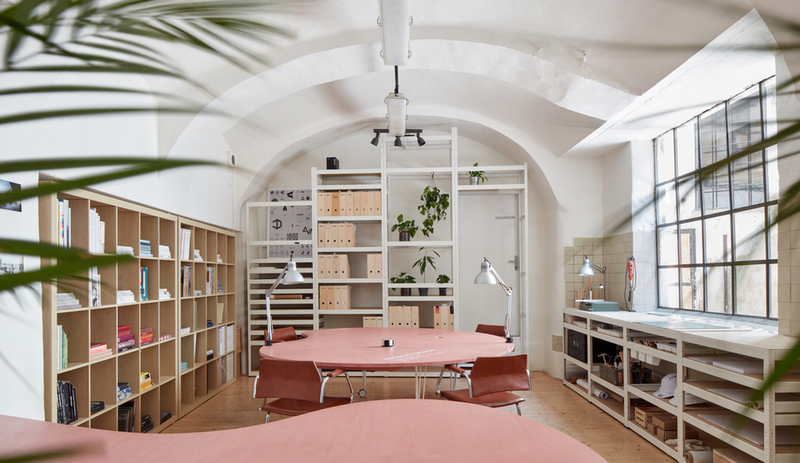 Brno, Czech Republic-based KOGAA Studio specializes in adaptive reuse projects, and its hometown features plenty of places to experiment – Brno is a former textile town transitioning to post-industrial life. 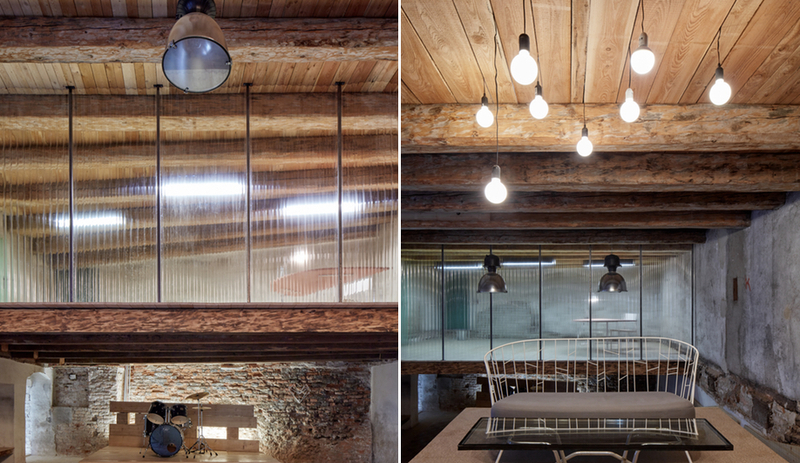 The Distillery Social Reactor is one such example: the four-storey building was – you guessed it – a former distillery dating back to the 19th Century. 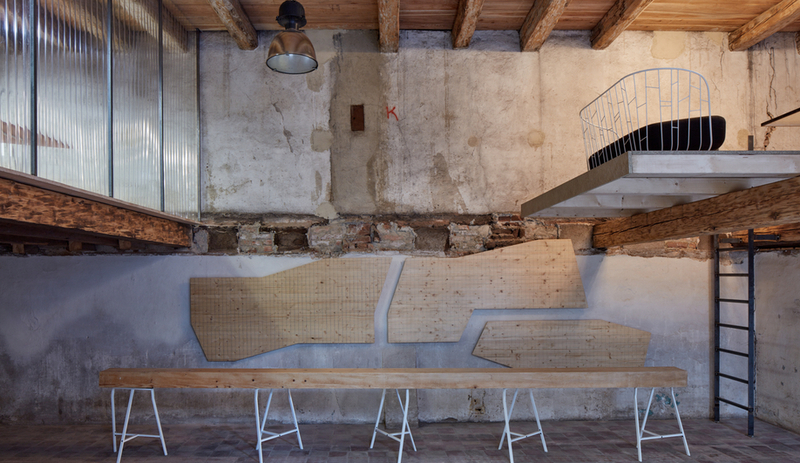 KOGAA’s first order of business was to create a double-height entrance hall overlooked by balconies. Lectures, ceremonies and events were earmarked for this space, which in a previous life served as an arthouse cinema. Within the hall, the firm installed a volume made from recycled materials – polycarbonate, corrugated plastic, timber – to add additional amenities, such as a shared meeting room, kitchenette and library. The upper floors, each with a commanding view of the space below, are reserved for design studios and office spaces. Throughout, benches, chairs and sofas were supplied from Bílovice, Czech Republic design firm Egoé, while the firm selected lighting from Hornbach, Leroy Merlin and Ikea. Rose-painted tables, pictured below, were designed by KOGAA itself. 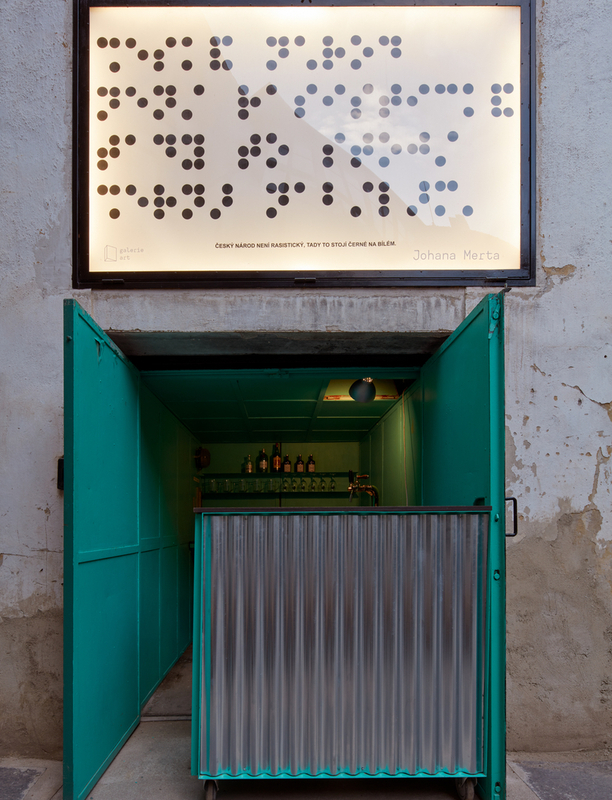 As visitors exit the building, they’re advised not to miss The Distillery’s most whimsical addition: a hidden bar. 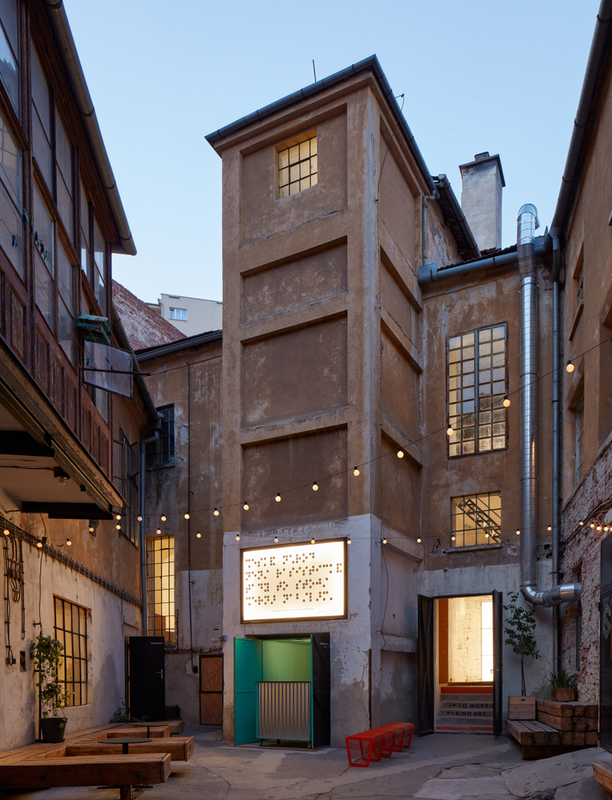 Folding out from a former elevator shaft and overlooking a stony courtyard, it’s as good a place as any to cap off a day’s work. Coworking spaces aren’t limited to tech and media. 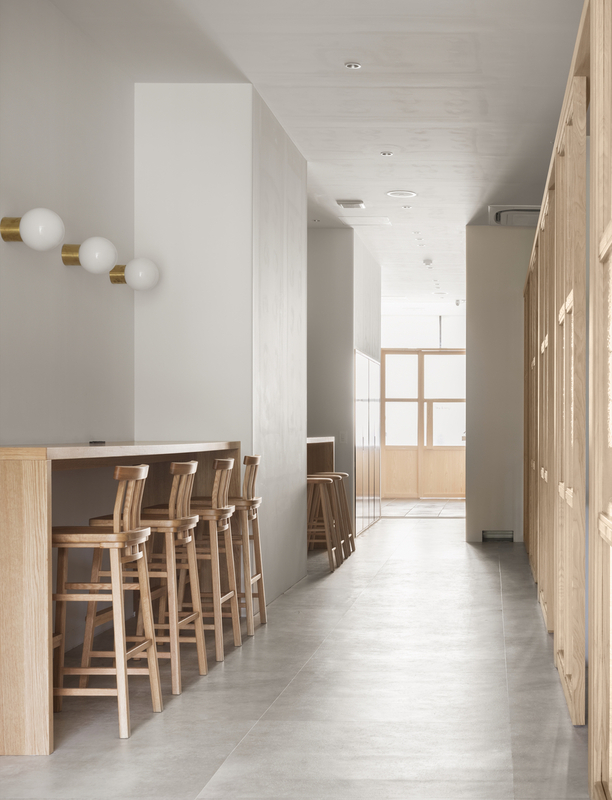 In Toyko, Canoma, an interior design firm led by Shinsuke Yokoyama, has developed a space targeting an industry long defined by gig work: beauty. The project responds to Japan’s pricey real estate: it can be incredibly risky to open a private salon. 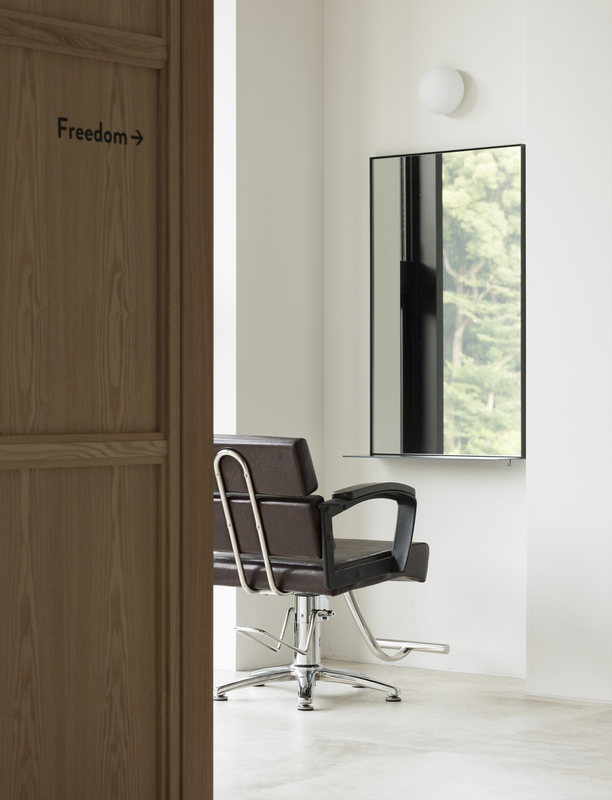 The Shaire Salon features 12 semi-private suites, each separated with blonde wood partitions and frosted glass. 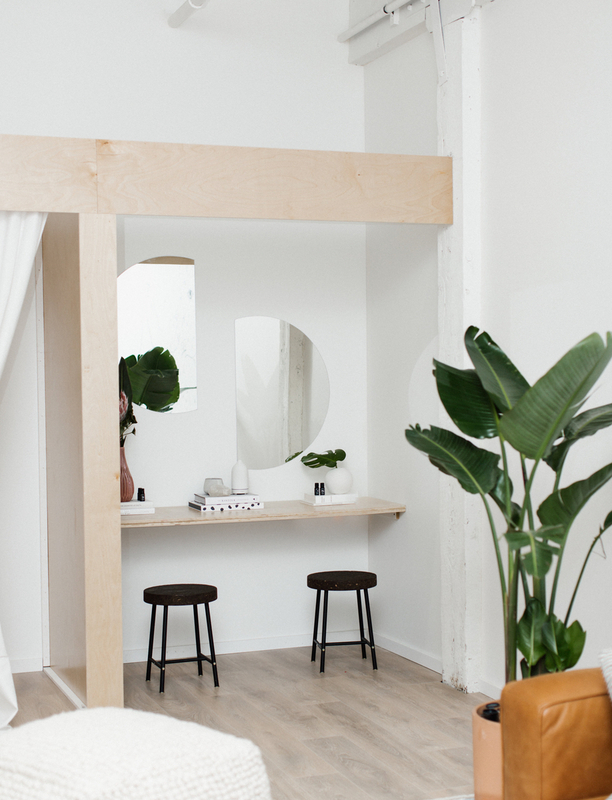 According to FastCompany, there are currently 30 freelance stylists who use the space. The booths vary depending on each stylist’s needs – shampoo, styling and makeup stations are spread throughout the Shaire Salon. Each station is labelled with abstract descriptors, like Freedom, Sky-Lounge, Empowerment and Entertainment. Canoma consulted both male and female stylists in constructing each booth, considering lighting, dimensions and even average arm lengths. Raw elements, like plaster, stone and polished concrete, were used throughout to articulate both neutrality and thoughtful material choices. 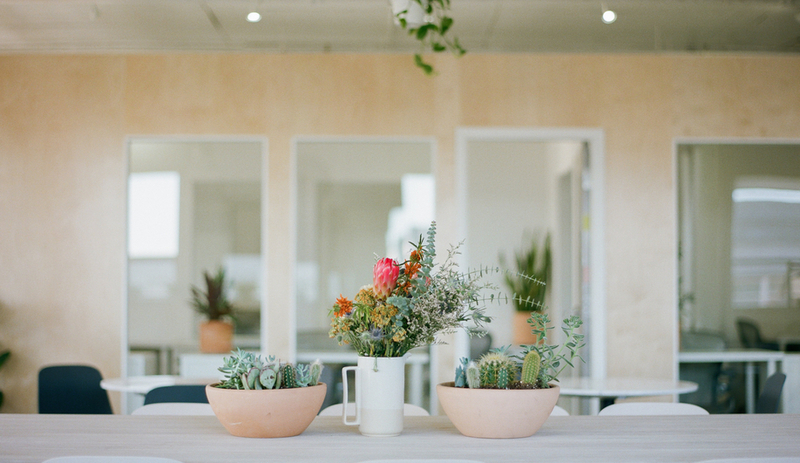 As the sharing economy continues to progress, niche coworking spaces like Shaire Salon could, and should, become increasingly commonplace. 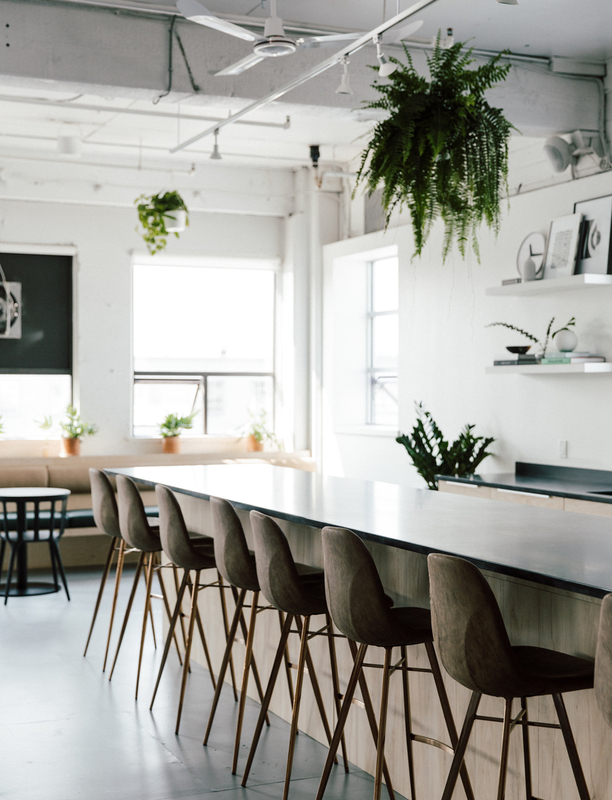 Vancouver has no shortage of brick-and-beam heritage buildings – look, for example, at furniture startup Article’s workspace or where many of its design studios live. 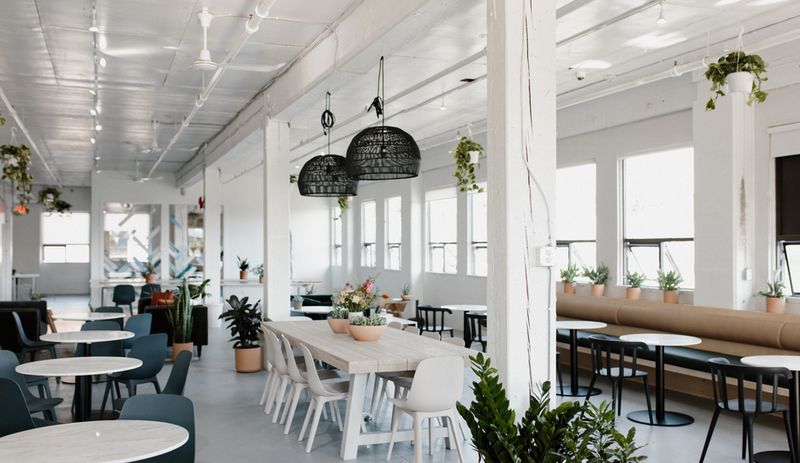 It should come as no surprise, then, that Werklab, a sprawling 8,000-square-foot coworking space, occupies a gorgeous heritage property in the Strathcona neighbourhood. Along with productivity, Werklab has another unique focus: wellness. 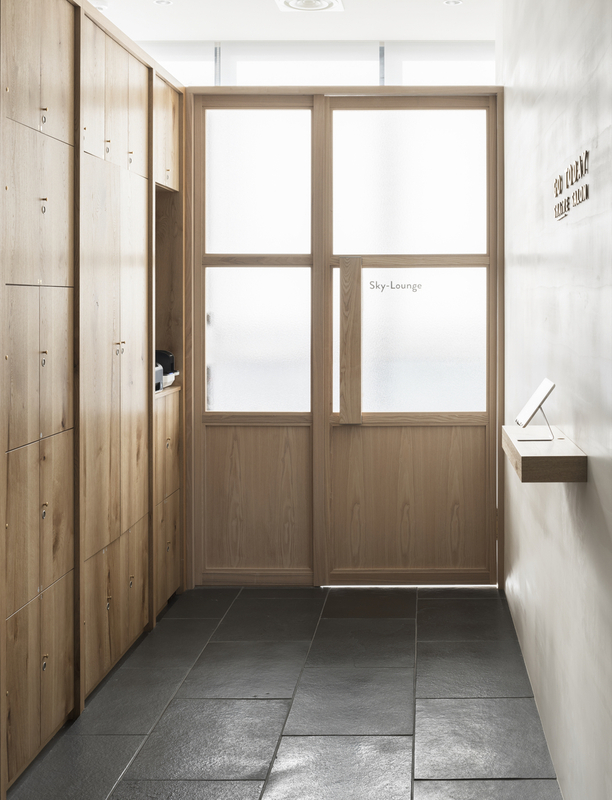 The space is divided into a café, a working area and a zen area, the latter of which offers meditation, yoga and movement classes to members. 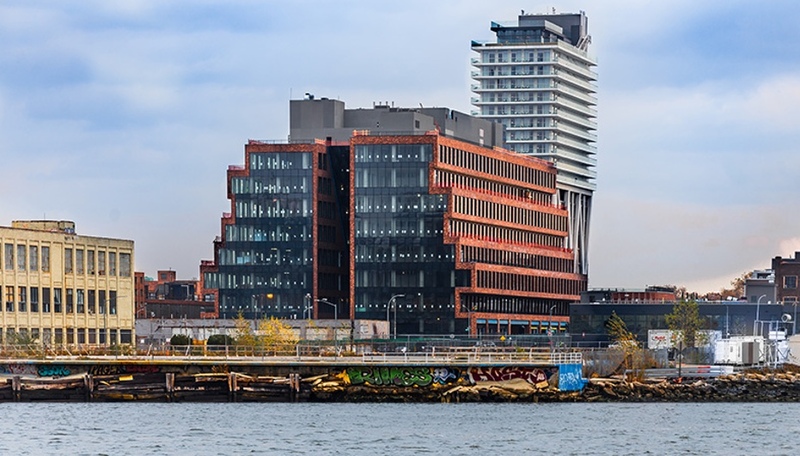 Many of Werklab’s features, says founder Christina Disler, were designed in-house. 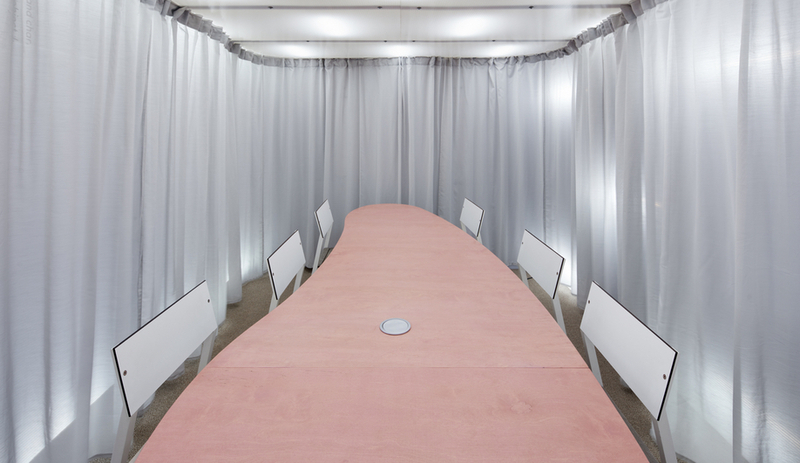 The reception desk, steel boardroom tables and the café’s banquette were all custom-made. In the office area, Ikea basics are paired with Herman Miller office chairs, pendant lamps from Article and accent chairs by Bluedot. The plants in Werklab were selected and planned by local landscape designer Sean Partlow, while Yuli Glass provided hand-painted artwork for Werklab’s cafe, working area and zen area. The zen area features items that are less common in office spaces. 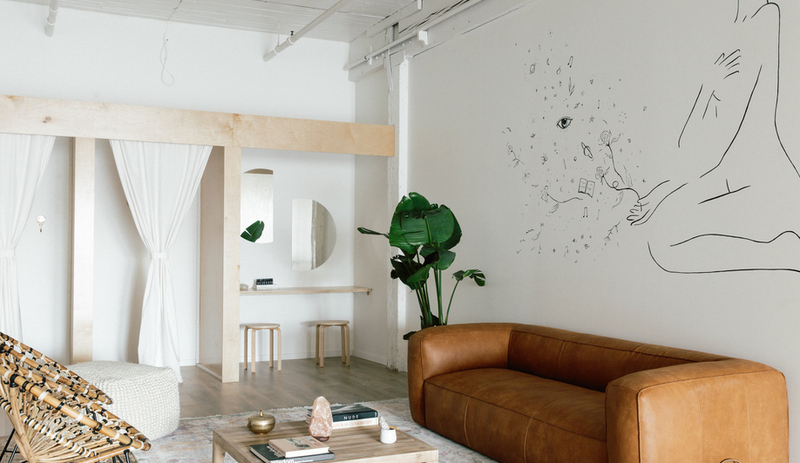 The area is defined by a mural from artist Hijulez (above), and its privacy-providing mindful studio is separated by custom-made sliding doors. Here, more Article furniture – including the Urba coffee table and Cigar Rawhide sofa – makes an appearance.